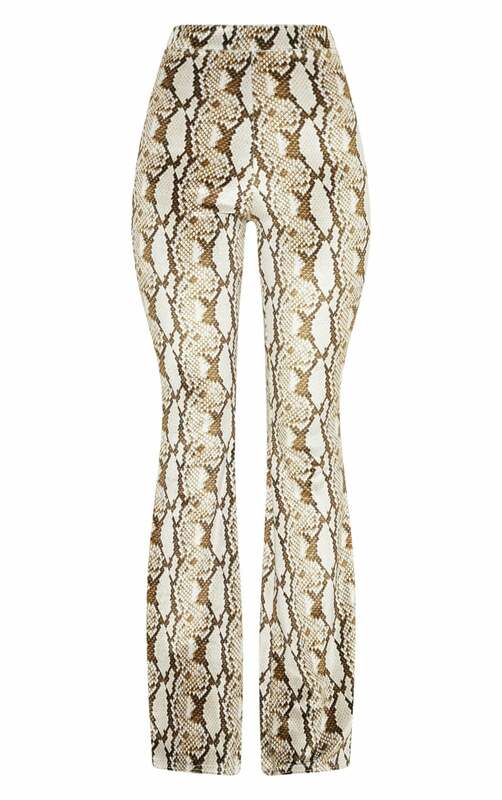 Go head-to-toe snake print in these flared trousers. Featuring a cream velvet material with an all snake print and an elasticated waistband. Team these with the matching crop top and strappy heels for a night out with the dolls.